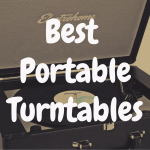 You are here: Home / Turntable Accessories / What Are the Best Headphones for Turntables? You did it. You finally got yourself a shiny new turntable. 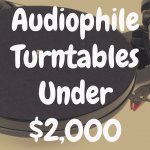 Maybe you went budget, maybe you went for a vintage deck, or maybe you went all out and copped a slick new audiophile turntable. Whatever your choice, you’ve got your little corner of the living room or office all set to maximize sound distribution and accessibility. And you’ve got a sick stack of new and gently used wax at your fingertips. This is going the be the best spin session ever. But there’s a problem. Your baby needs to take a nap, your significant demands his or her quiet time, or your fussy neighbor keeps complaining about the noise. How are you supposed to get your groove on with all of these impediments? Don’t break yourself searching for the answer to that question, ‘cause it’s pretty obvious—headphones. But just because the answer is easy doesn’t mean the solution is. And let’s be clear—there is nothing easy about buying headphones for turntable listening. 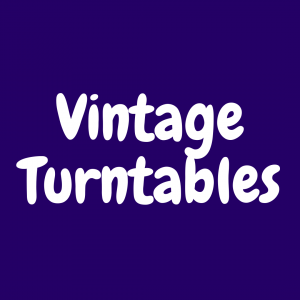 As the vinyl/turntable market has grown, so too has the market for vinyl listening accessories. More specifically, the market for proper hi-fi head gear. And yes, there are hundreds of options out there. Don’t worry, one of them will be right for you. And we’re right here to guide you through the process and help you score the perfect headphones for your hi-fi experience. 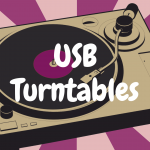 Before you open up that wallet and start shelling out clams over to Turntable Lab or Amazon, there’s a few things you need to consider to ensure that you get exactly what you need. Cost – Rule number one with any purchase is this: know your price point and stick to it. As I said, there are tons of options on the market right now and they vary dramatically in price. You really don’t need to drop $200+ on a set of headphones if you can get everything you need for under $100. 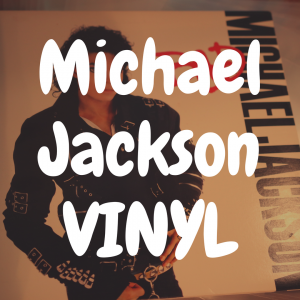 Sound – There are legitimate reasons to listen to music on vinyl. 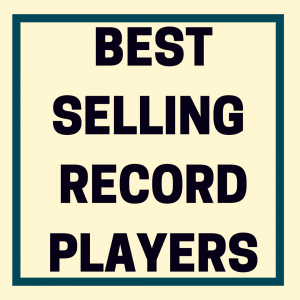 Most important among those reasons are warmth and depth of sound that vinyl produces. After all, vinyl emits more information from its grooves the any other audio source in the world. The primary reason to listen to music on vinyl is that purity of sound. Whatever headphones you settle on, just make sure that they bring the warmth as much as they bring the noise. And remember, listening to records is an intimate experience. Make sure your new head gear keeps that intimate feeling in tact. Comfort – It may sound silly, but this is a really big concern. You can probably suffer through a little discomfort with your mobile—iPod or otherwise—headphones or earbuds simply because you don’t have them on your head or in your ear for extended periods. This is simply not the case for your vinyl listening experience, however. Think it over quite a bit before you make your purchase, because you may have these things on your head for up to an hour at at time. You don’t want to create or aggravate pressure points on your head, causing unwanted chafing around your ears or giving yourself headaches. You’ll want to check and double check what sort of materials your new headphones are made of and what sort of padding is provided for the sensitive areas around your ears. Function – As I stated earlier, listening to vinyl is an intimate experience and you want to make sure your headphones preserve that experience. That means paying strict attention to how much noise gets in and out of your headphones. Open or Closed Back Cans? 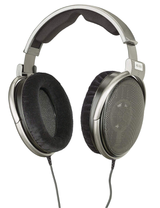 Open: Open back headphones are just that—headphones that feature perforations or grills on the outside of the ear cup. This generally allows a small amount of diegetic sound in and provides an “in the world” listening experience. This may be ideal for those of you who don’t want to completely tune out the world around you. You may need to keep an ear out for your kids after all. Closed: Closed back provide just the opposite experience. Structurally, closed back design has a large pad cupping your ear and a shell that completely covers the outer part of the headphone, isolating virtually any diegetic noise and creating an “in your head” listening experience that many audiophiles strive for. 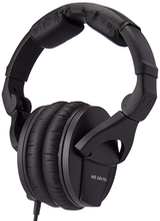 Keep in mind, we are not talking about active noise cancellation, but generally closed-back headphones will offer around 10db of noise reduction. 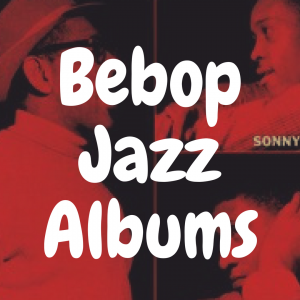 This is the ideal option for those of you looking to tune out and get lost in the music. 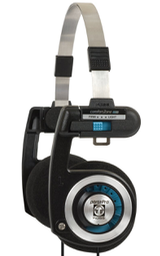 Style – Selecting an open or closed back option will directly effect how your headphones look. It sounds vain, I know, but as much as I require my shiny audio toys to be functional, I also want them to look cool. This may or may not matter to you. While performance is and should remain the primary reason to purchase any set of headphones, style should be considered as a secondary reason. ‘Cause if they don’t look good, you don’t look good. Now that the public service announcement portion of our tour is complete, let’s have a look at some of the best headphone options available for your vinyl listening experience. 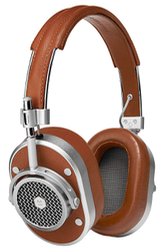 Call me a sucker, but I absolutely adore the retro look and feel of these headphones from Koss. But that retro look can be deceiving. Outside of the design – straight from 1984 – there’s little else retro about these headphones. Dynamically designed for marvelous deep bass performance, the PortaPros open back construct operates with a frequency range of 15 to 25,000 HZ for clear, bright sound—which is outstanding at this price point. They also feature two adjustable Temporal-Comfort Zone pads so you can shift pressure points and balance the pivoting ear plates perfectly over each ear. Plus, their collapsable design makes them ideal for those of you who want to take that quality sound on the road with you. But at this price range, you’re going to sacrifice somewhere, and the PortaPros are a little weak in the midrange areas, so keep that in mind. 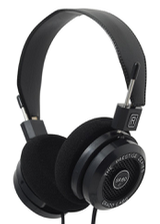 Still, for quality of sound and pure comfort, these headphones are hard to beat. 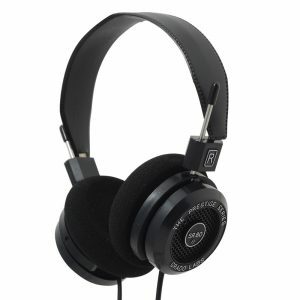 You cannot talk headphones these days without talking Grado. 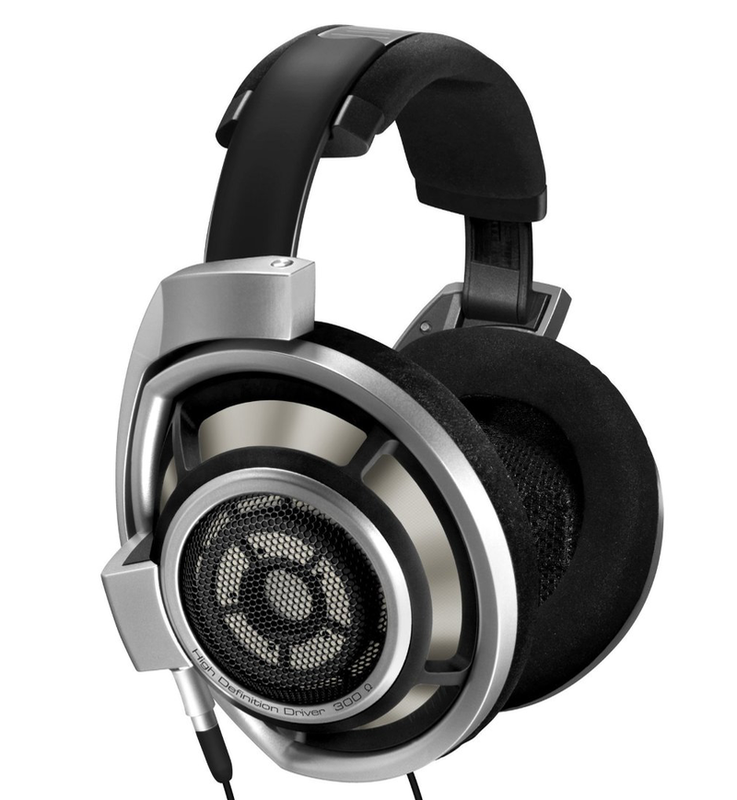 The open back SR80i is the now legendary headphone that put the Brooklyn, NY based company on the map. But the SR80e series takes the old SR80i model and upgrades everything. The e-series features a new driver design and a new polymer to help kill distortion. The plastic, open air housing and non-resonant air chamber moves air in & out and reacts to sound vibrations, all but eliminates transient distortion—and all that at a frequency range of 20 – 20 dB. That’s really just a bunch of tech jargon that means one thing—these headphones sound absolutely amazing and easily deliver that harmonic mid-range purity that you’ve come to expect from Grado over the years. At under $100, the SR80e is the best bang for your buck option on the market. 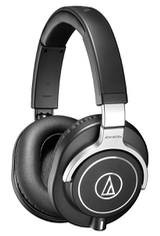 Leave it to the Germans to produce some of the most dynamically efficient headphones on the market. These closed back, studio ready beauties are revered around the world, so they’re bound to sound amazing in your living room. And the DT 779 Pro is nothing if not professional. Their closed, diffuse-field systems enhance Beyerdynamic’s “Bass Reflex” technology allows for insanely accurate bass response. It helps that the DT 779 Pro’s ear pads come covered in a super-comfy velour and completely engulf your ears. This allows for maximum comfort for extended listening sessions and virtually eliminates any distortion from outside elements while pushing 250 ohms (higher ohms mean clearer sound). 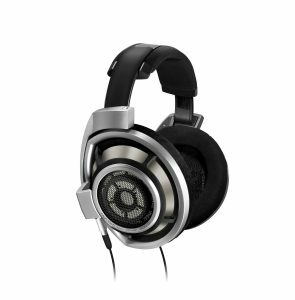 Those of you seeking a true “in your head” listening experience need look no further that the DT 779 Pro from Beyerdynamic. 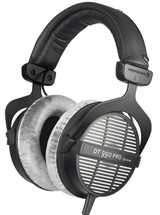 We also feel just as strongly about the DT 990 Pro by Beyerdynamic, which you can see more in-depth below, as well. 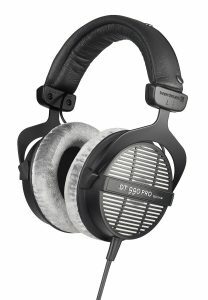 I’m a bit of a Sennheiser fan (I actually thought the HD598’s were—and really still are—a great headphone), so excuse me if I gush a little. 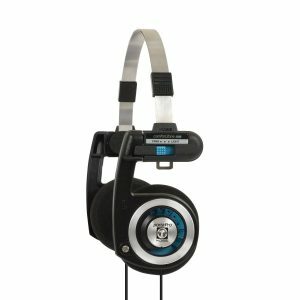 I’ve been buying Sennheiser headphones for years now, and have never come across a pair that didn’t just knock my socks off. 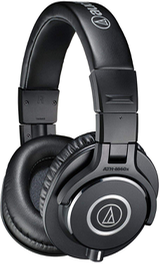 The first time I put the HD 25-1 II on my head, I nearly lost it altogether. I simply cannot explain how comfortable these headphones are. Lightweight—only .5lbs—with switchable ear pads in leather or felt, the HD 25-1 is designed specifically for extended use. And this is great, ‘cause you may forget you’re even wearing them. They are that comfortable and light. The on-ear, closed back design offers maximum sound isolation and enhances the HD 25-1 II’s insanely high sound pressure levels. 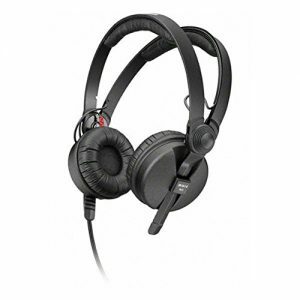 Those elements and many more make these dynamic headphones ideal for DJing, studio work, cameramen who need sound and especially for home listening. Be warned, your vinyl may never sound the same again. Like I said, I truly enjoy the Sennheiser brand. 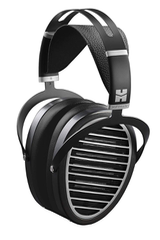 But for those of you with coin to drop on a serious set of headphones, I have to point you to the HD 800. And I’m not gonna lie, sometimes you can just look at the price-tag and judge quality. 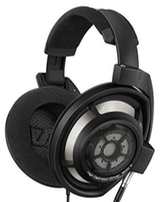 I could begin listing all the insane options—most notably a slick 56mm (largest on the market) ring-shaped transducer that Sennheiser has packed into these headphones. Trust me, there’s more, but if I started listing all the features, we’d be here all day. Just know that with this particular set, it feels Sennheiser legitimately thought of virtually everything. If you’re looking for the purest audio expression of your vinyl warmth and didn’t blink at that price tag, look no further than the HD 800. As you can see, you’ve got a lot of options, so don’t be afraid to shop around. 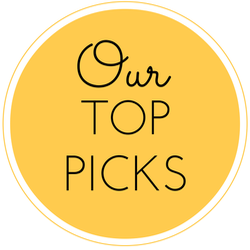 Whether you’re looking at one of our recommendations or not, we’ve hopefully pointed you in the right direction. Now go forth you sultans of stylus and find the right headphones for you. And keep spinning, my friends.